In spite of fact, that Italian underground scene is not very known for fans, it can offer many great bands. One of them is Watershape which has released debut album perceptions. Mainly it deals with progrresive rock and metal, but it is also for fans of more straight music for example fans of Steve Wilson. On our questions has answered drummer of band Francesco. Hi! Band Watershape has released debut album Perceptions this autumn. What was the process of creation of it? 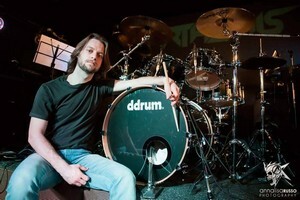 Francesco Tresca: Hello, I’m Francesco, I’m the drummer and main composer in Watershape. I started this project cause I wrote several songs and I wanted them to be part released by a band. I write most of the music and lyrics, so I send some files to the other guys. They learn them and then we rehearse together, we usually change something and adjust the music to everyone personal style so in the end we have a unique sound based on 5 people. Could you describe it in a few words? What can fans await? Francesco Tresca: Our music is influenced both by prog rock and prog metal, it’s somewhere inbetween so we like to label it “meltin’prog”. It’s very close to the Steven Wilson’s vision cause we are also very focused on the “pop” vibe of the songs. For me, your music on Perceptions is pure masterpiece, full of elements and influences of many genres. But anyway, are there some genres which you could not never use in your music, or are you totally without some borders? Francesco Tresca: We are very open minded, we don’t like to set borders. Of course there are some things that we don’t like and we are not using, but we could in the future, you never know. Anyway, at the moment, personally, I’m not fascinated by rap and hiphop for example. Could you tell us something about cover of it? Who is the author, and what does it stand for? Francesco Tresca: Our guitar player Mirko Marchesini is the artist behind it, I love it cause it’s very surreal and I think it fits very good to our music and lyrics (I write most of the lyrics and they’re all very dreamlike). I don’t know the meaning cause I’m not the creator, but I like to see it as a listener surround by music, going deep in it. It has no head cause you perceive it not only with your ears but with your heart too, the water in the cover and in our name stands for something that has no shape, something that can change and adapt to your perceptions. I was also interested with lyrics…what is the main source of inspiration? Francesco Tresca: I love to write surreal lyrics, they’re inspired a lot by cinema (I’m really into cinema in fact I work also in film scoring) and also by literature and art. I love Dalì, Magritte, Bosch, Mirò…. You have also recorded videoclip for song The Puppets Gathering. Why did you chose right this song? Is it possible, that you will also record another one? Francesco Tresca: This song is very catchy in our opinion so it worked well as first single plus. Lyrics talk about puppets, they are archetypes for different kind of people you can meet in your lifetime. I loved the idea to represent them in stop motions puppets, they are very dark and grotesque and I really like the result. I did the videoclip and the stop motion with the help from an Italian artist called Sara Zamperlin. A new videoclip is already online at the time I’m writing, it’s for the song “Beyond the line of being”. It’s a humble tribute to David Lynch and Twin Peaks. I did this one too and Luca Pellizzaro helped me this time. It’s about searching immortality through art. 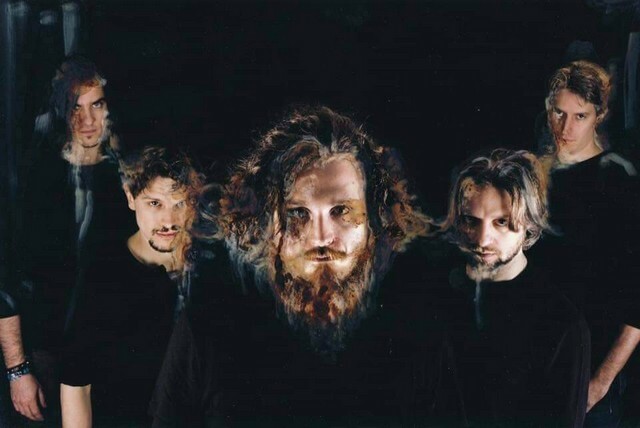 Francesco Tresca: At the moment we are promoting our album with live shows in Italy, we hope to start playing abroad too very soon but nothing is confirmed yet. Is it possible, that you will visit also Slovakia sometimes? Francesco Tresca: Sure, all is possible and we really would love to do that. Could you tell us something about metalscene in your country? Francesco Tresca: There are several bands in Italy that play metal music, not just big names, but also several underground good bands. We try to help each other and to support us, there are also some good music festivals. Francesco Tresca: Thank you very much for this interview and for your great review, we are very happy when people understand and enjoy our musical proposal. Keep on following us on our facebook page (www.facebook.com/watershapeband) and listen to our album on all the digital stores online (Spotify, iTunes, Amazon mp3…..).